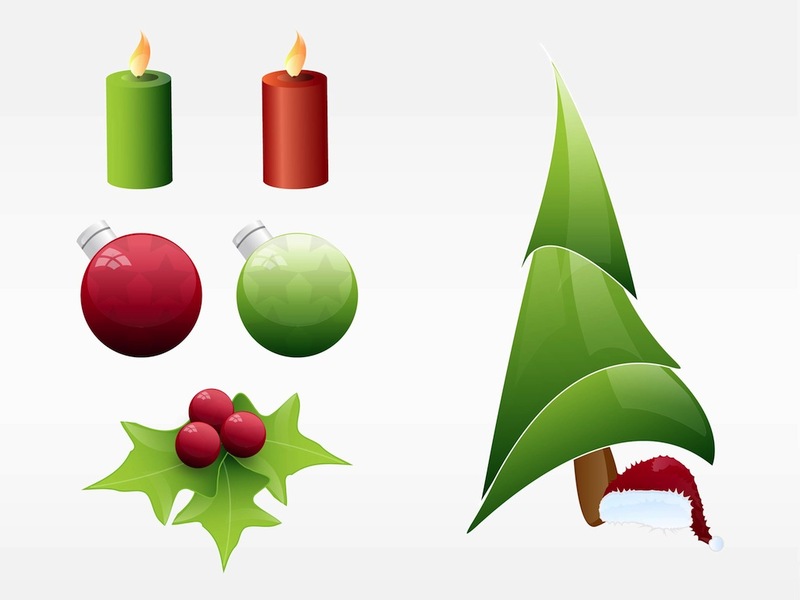 Holiday vector image collection with illustrations for your Christmas projects. Realistic images of burning candles, shiny round ornaments, mistletoe and a shiny evergreen tree with a Santa hat underneath it. Free vector graphics for all winter holidays, Christmas, celebration and festive decorations design projects. Tags: Candles, Celebration, Christmas, Icons, Mistletoe, Ornaments, Shiny, Tree.